IT IS A project 15 years in the making, and the realisation of a long held ambition, to chronicle in song the devastating disaster of The Great Famine, and its impact on the lives of those who experienced it. 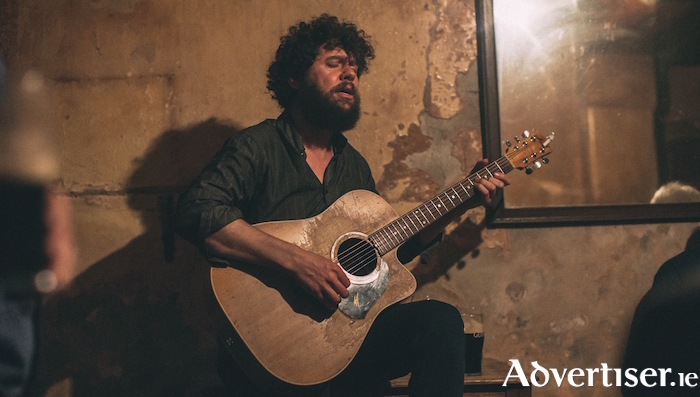 Since the release of his debut album, Since Kyabram in 2004, Declan O'Rourke has nurtured the ambition to create a concept album about the famine. Occasionally, he has performed songs from the proposed album, but this year finally saw the realisation of the project, and last month, the album, Chronicles Of The Great Irish Famine, was released. Declan and his band - including The Dubliners' John Sheahan - are now performing the album across Ireland, and the tour will include a show at the Black Box Theatre on Saturday December 2 at 7.30pm. As part of the research for the project, Declan read John O’Connor's book, The Workhouses of Ireland. ‘Poor Boys Shoes’ was inspired by the passage: "The man who carried his wife from the workhouse to their old home, mile after weary mile, and was discovered next morning dead, his wife’s feet held to his breast as if he was trying to warm them." "I had stumbled into a chapter of history I knew almost nothing about. I wanted to be a witness, to share these stories the best way I knew how, through music," Declan said. "The songs are an attempt to bring fresh air to an unhealed wound, and to remind the Irish people of what we have overcome." This is a 'Róisín Dubh presents...' show. Tickets are available from www.roisindubh.net; the Ticket Desk at [email protected]; and the Town Hall Theatre (091 - 569777, www.tht.ie ). This will be a seated show.